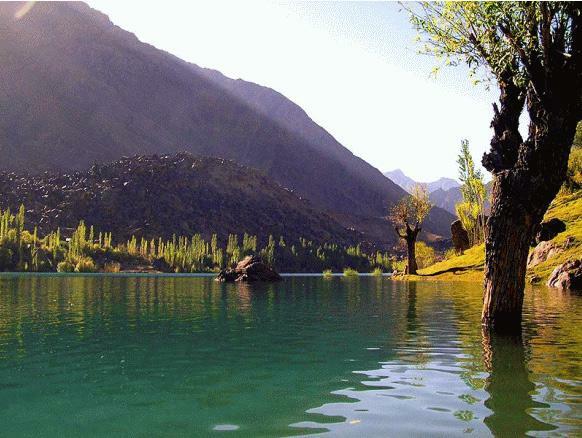 Skardu is the main town of the region Baltistan and the capital of Skardu District, one of the districts making up Pakistan's Gilgit-Baltistan. 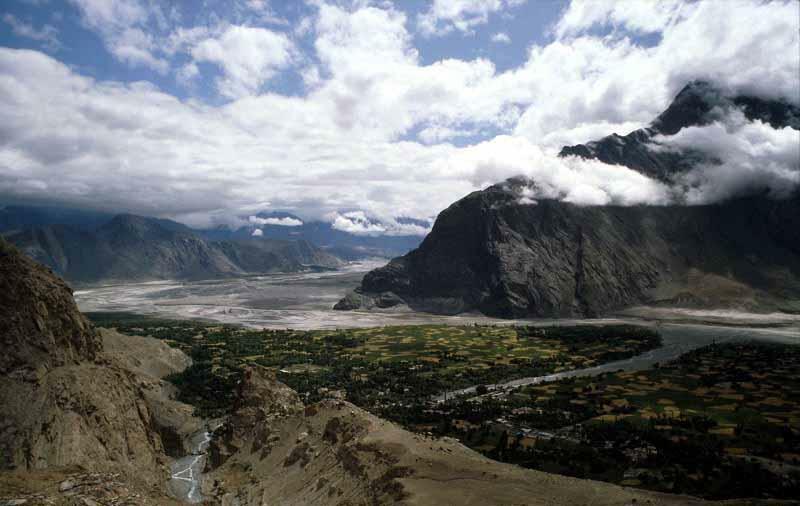 Skardu is located in the 10 km wide by 40 km long Skardu Valley, at the confluence of the Indus river (flowing from near Kailash in Tibet and through neighbouring Ladakh before reaching Baltistan) and the Shigar River. 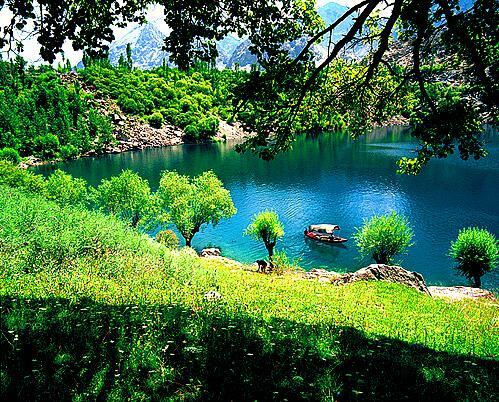 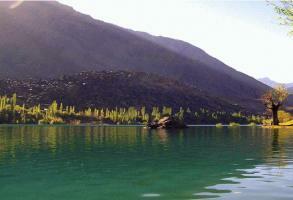 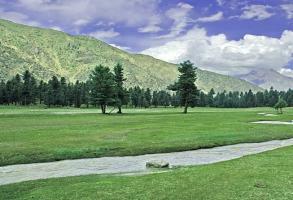 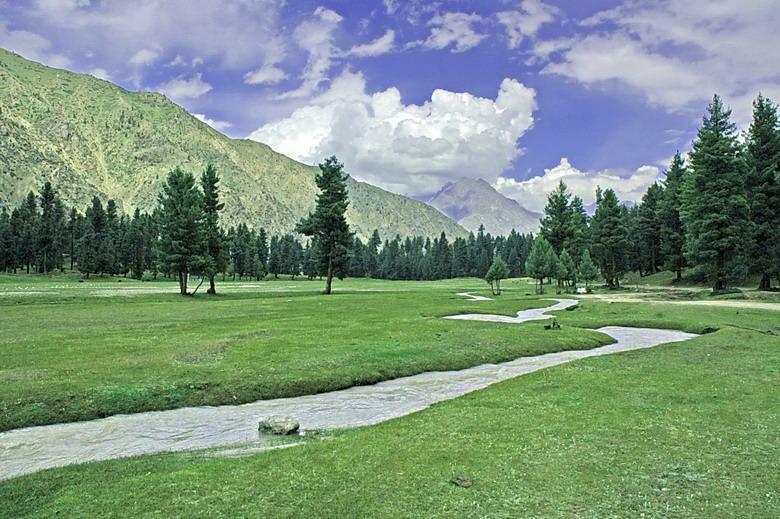 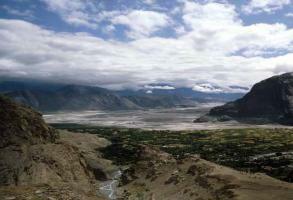 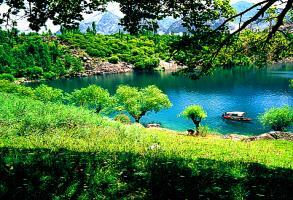 Skardu is situated at an altitude of nearly 2,500 m (8,200 ft). 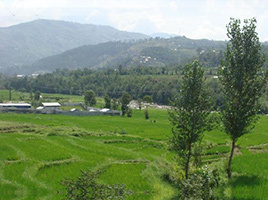 The town is surrounded by grey-brown coloured mountains, which hide the 8,000 metre peaks of the nearby Karakoram range.